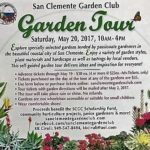 Distinctive Coast Properties is a ROSE SPONSOR of the San Clemente Garden Club – KK Ciruli has been a member for 3+ years. Board Member – North Beach Community Association (5 years) – Founding member of this association made up of residents and business owners dedicated to the improvement of the North Beach Community. Las Palmas PTA – Executive Board Member (9 years) – Held the Parliamentarian position on the Las Palmas PTA for 9 years running. The PTA raised over $200,000 last year to go towards music, PE and a STEAM room. Family service to Operation Rack Pack for the last 6 years. Welcoming home single service men and women by cleaning and supplying their barracks with welcome home posters, food, toiletries, stocking refrigerators and care packages. When they return home they feel loved and not forgotten!